Put me in a luxurious beach hotel under a palm tree and I will die of boredom. Going on road trips is what I like. Especially with the family : nothing quite as intense and fun, as spending days in a row in a car with your kids. Of course being on the road for long hours does have it risks. Calculated risks, I suppose, but still risks. Traveling on gravel roads through Patagonia, for instance, requires 2 spare tires. You never know when your tire will run flat and you know even less when you will be able to get it fixed or replaced. We had 3 flat tires in 40 days. Apart from the expense of buying a new one, there is not much to it, it certainly makes you fluent in changing the wheel. 40 minutes the first time, less then 10 for the last. God knows how fast we would become the 4th or 5th time. But that was in Argentina, a country that is -after all- still a third world country. Patagonia even being cut off from the world. You can drive hours without seeing a living soul. No cell phone reception. Pure adventure. So we thought we’d try a road trip in the first world. First of all I had to plan every little detail in advance -so unlike me- but well, it had to be done : it’s almost an impossible task to find places to stay for 5 people in a country like Scotland. Some days our schedule is tight, because we just couldn’t find a place at the right distance. And then the inevitable happened. Flat tire. How fun that is in these cars of today that don’t come with spare tires. Instead, they come with a phone number. A number you must call when you run flat, a free service comes to help you out. First of all you need cell reception for that, which is on and off here in northern Scotland. Eventually we got hold of them, and the administration process could start. A calls B who then calls C to say that D will eventually come and tow the car, which will be brought to E and then be brought back to us more then 24h later. Twenty four hour later. Meanwhile, -4 hours after the tire ran flat- we are brought a replacement car, half the size of ours, where the 5 of us or stowed in together with som of our luggage, so we can get to our B&B we have booked for tonight. Living in a third world country teaches you to be patient. Patience you need when you run flat in the first world. A flat tire. What a terrible waste of time! The Belgians are very patient people. For days, for weeks even, the weatherman has been promising summer temperatures (whatever is above 22°C), which -the same weatherman- has been postponing and canceling, time after time. 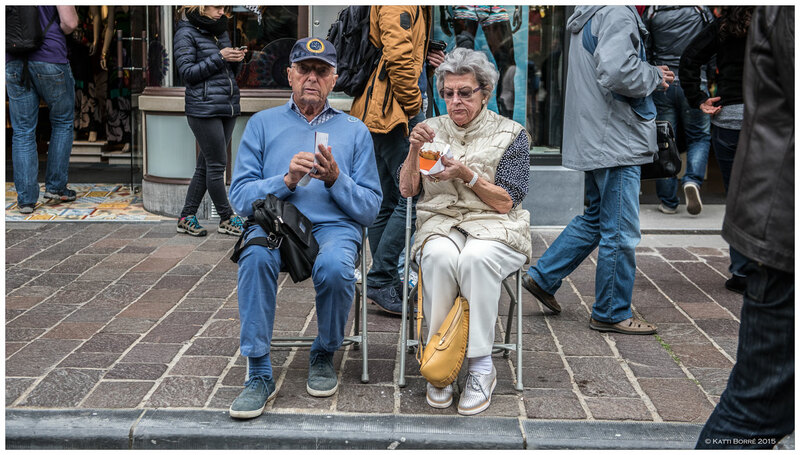 Some Belgians don’t mind the cold, and with average temperature of 13,2°C in May, they wore summer clothes anyway, (light short dress or shorts, bare legs, sandals), after all, it is spring, isn’t it? Only looking at them caused me to get goosebumps. Many others were just like me wearing layers of warm clothes and boots, just patiently waiting until the weatherman finally stood by his promise and gave us some heat. To the Belgian, the ultimate summer experience is sitting on a terrace, having a drink with friends, dinner even, much more even then let’s say, a dip in the pool, or a day at the beach. As soon as the sun comes out, and even before the earth heats up, all of us are pulled towards the ‘terraces’. Each restaurant and bar that has the slightest possibility to put some chairs and tables out, does so. Many of them even put heaters to attract early courages people in, or rather, out. Some hand out blankets. We call it ‘terrasjesweer’ (terrace weather) and we even have a verb for it ‘een terrasje doen’ (to do a terrace). Today is real terrasjesweer, for the first time this year. It must be around 30°C. Just for the day. Thunderclouds are supposed to be packing above us in an hour or so. And exactly today, one of the major Belgian newspapers De Morgen, publishes an article ‘the 19 best terraces in Belgium’. Of course this isn’t a coincidence. They probably had this article ready since Easter. But just check out number 16 on the list. Well isn’t that ’t Oud Gemeentehuis? Isn’t that where you can see my #urbancars collection? There is no room for coincidence here. This is just great. So please have a good look around when you enter the restaurant and enjoy it all, the summer weather, the terrace and especially the photos! In Buenos Aires they are famous (or rather, infamous) because whenever you have to cross town you might come across them, personally or in the shape of huge traffic problems. Mostly it doesn’t seem to make much sense : most people don’t have a clue why the workers actually go on the street, chanting, waving with flags and beating the drums, against what exactly they are protesting. But mostly Porteños, or Argentines in general, think they are the only people in the world suffering from pointless protesting that only annoys people that have nothing to do with it. Not! Tomorrow, for the 7th time this year (seventh) (and yes, the year is not even 5 months old), the Belgian train conductors are going on strike, again. Hundred thousands of passengers will not get to work or will take the car (which will cause huge road saturations, traffic jams even longer then usual), students do not reach school, etc. Nobody knows why. Usually strikers in Belgium spend the day at home, an extra -paid- day off always comes in handy, and can not count on a lot of sympathy. In this case, apart from the NMBS (the train company) it are mostly just the many people that take trains daily who are the victims. Or people that occasionally take the train, like when they are going on a holiday and their flight leaves around rush hour, like, let’s say, our daugther. Impossible to get to the airport on time by car. 1 hour easily becomes 2 and if you are unlucky you are stuck in traffic for 3 hours and arrive just in time at the airport to see your plane take off before you. On a normal day. How will it be on a strike day? Thanks to this particular strike we will be getting up at an ungodly hour to drive her to Brussels and be in time. For in time she must be, if you know what has happened in Belgium today. Hundreds of flights to and from whatever airport in Belgium were canceled, because the Belgian air traffic control Belgocontrol, had a power cut, a power cut, that lasted all day! For a whole day not one plane (except the ones flying at a very high altitude) could fly over this little country. Imagine the amounts of detours made, the amount of people being ‘shipped’ to Belgium from neighboring countries by bus, the trip by bus taking twice as long as the original flight time. Imagine the people waiting to be rebooked on next -already full- flights. Imagine the delays on flights that had nothing to do with Belgium in the first place, except that they had to cross/fly over it. It will take days until things are back to normal, until everyone is on the spot where they should have been now. It’s an ill wind that blows no good. Long before (almost) all the European countries united in the European Community, now known as European Union (E.U. ), the Europeans had this one yearly event that united them more then ever. The Eurovision song contest. It all began at the beginning of international broadcasting, (1956) which nowadays seems as natural as rain that falls. In those days TV was still something, and broadcasting over the boarders seemed like science fiction. Many people probably still remember the first European Eurovision Contest. For me, this contest has always existed. As far back as I can think, I was allowed to stay up late and watch. It was a big feast : it was the only night I could stay up late, and very often I could invite a friend to sleep over so we could pretend we were voting from out of our sofa. In those days the singers had to sing in their native language, there was a big orchestra, everyone had to bring their ‘conductor’ who even got a seperate applause, and there was also a limit in people that could go on stage, which meant there was no room for dancers and complicated choreography. And it was prohibited to play the music on the radio beforehand. Whatever you saw and heard, you heard it for the first time. But then the Iron Wall fell down and all the Eastern European countries and even Russia started to participate, and everything changed. First of all it became necessary to split up the contest in semi finals and finals, because there were just too many countries (40 this year). Ever since that day Belgium only got through the semi’s twice. Well, even before that day Belgium did not exactly have a history of winning or sending in strong candidates, usually one of the bets we made was if we would end last, or one but last, but at least we knew we were participating. Where as the contest usually had the same typical quite boring ‘Eurovision-songcontest-style’ -say Abba, Celine Dion, Johnny Logan…- with the coming of the Eastern European countries the style has become very bombastic and theatrical. The more shocking, the more provocative, the better, it seems. Participants can now sing in whatever language they chose, which usually means English as that language sells better. The orchestra has been exchanged for recorded music, the stage is bigger and more impressive then ever, which makes the performers seem to disappear in the total extravagance. The ‘European boarders’ do seem to have expanded over the years. Israel has been participating for years, Azerbaijan is a member, and this year even Australia will be participating. We used to record the songs on tape, and listened to it for weeks afterwards. I remember my aunt having the full collection as a piece of pride in her cupboard. Very often we bought the winning single. But now the whole show seems too big, too commercial, too many countries I don’t even know, too much of everything, that I am not even sure if I will watch. But one is certain, tonight I will not bet that Belgium will end up last. Loic Nottet, the 19 year old Walloon, who ended 2nd in The Voice 2014, will certainly not embarrass us. I am told that there has been a lot to do about the oldest house in Antwerp, also known as the city hall. Living abroad means I usually miss out on this kind of news, so when I am visiting I totally rely on friends and family to get me updated. 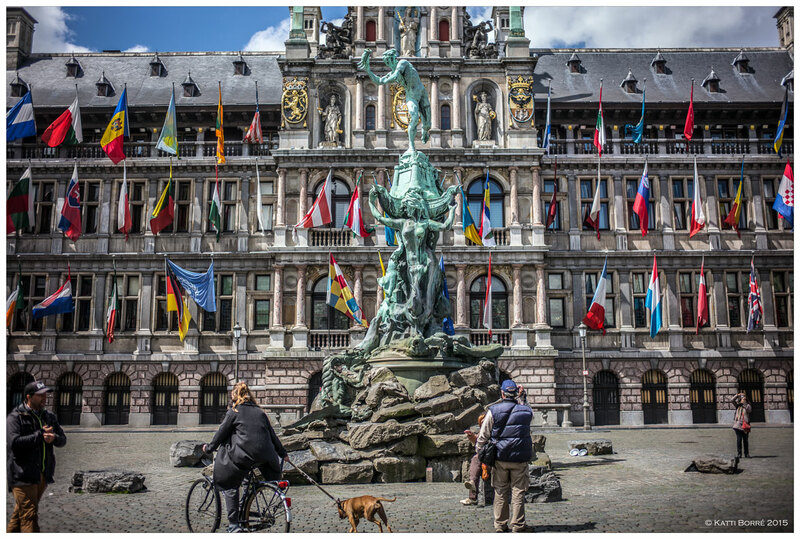 This year Antwerp is celebrating the 450th birthday of the city hall, which is already ‘dressed up’ with 67 flags, and they intend to fully take advantage of the opportunity to organize exceptional tours, visits, and a small exhibition. If you are lucky, Bart De Wever, the mayor himself, who seems to be passionate about history -after all, he has got a history degree- and even more so about his town and its town hall, might be the one guiding you. The exhibition shows the history of the town hall, with interesting video messages telling different aspects of history, the work of the mayor, how the town council worked etc, and there is also a lot of information about the restorations. The city hall was inaugurated in 1565 after some financial troubles in financing the construction, only to be burned in 1570 by the Spanish Soldiers, a fire that destroyed the interior and the roof. Only 2 years later they started the reconstruction. 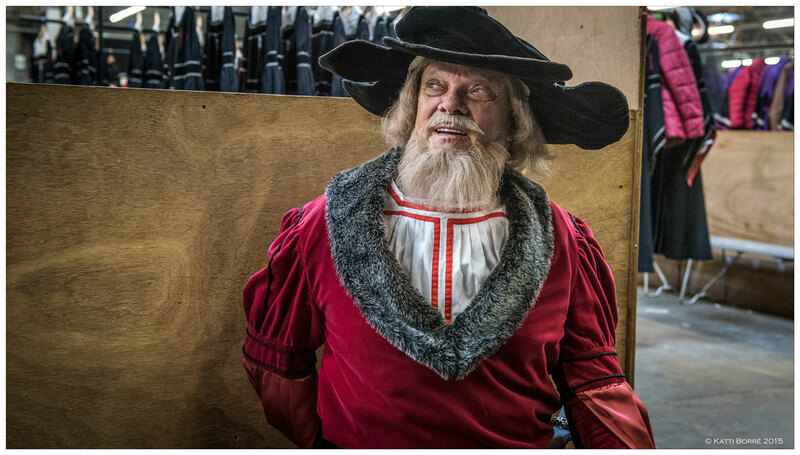 Even though the a guided visit should definitely be on your to do list, tours are fully booked until mid October 2015, although I am told that during the period of the festivities (until february 2016), you can have an unguided visit to the city hall in weekends. For all those far away or not able to get a ticket, you can always console yourself by taking this virtual tour in the City Hall, although this might make you feel bad for missing it. But if you have no ambition to get inside, you should come to the Grote Markt to admire the outsides where, from June 4 until June 13, the area will change into an oasis of green, when the ‘flower power’ takes over. A flower carpet will be put into place, which can be visited from the 4th onto the 13th, the last will be harvest day, the day you can take some of the flowers home. Where ever in the world I am I look up Folklore, but when in Belgium it seems folklore has to come to me. I always seemed to think that there was no such thing as folklore left in this country. And although I had heard of the Procession of the Holy Blood in Bruges, it had always seemed too far off and inaccessible. Until my friend took me to Bruges today. It is the count of the Flanders, Diederick van den Elzas, who brought a crystal flask containing Christ’s’ blood from Jerusalem in 1150. The first known Procession dates back from 1304, the oldest known program booklet dates from 1722, and in 2009 the Procession of the Holy Blood became UNESCO Cultural Immaterial Heritage. About 1700 people participate in this big parade through town. 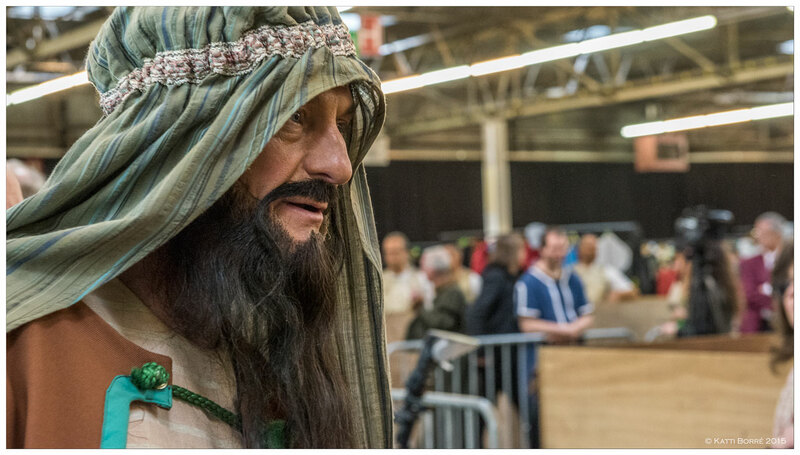 Most participants participate every year, some characters go from father to son to grandson. 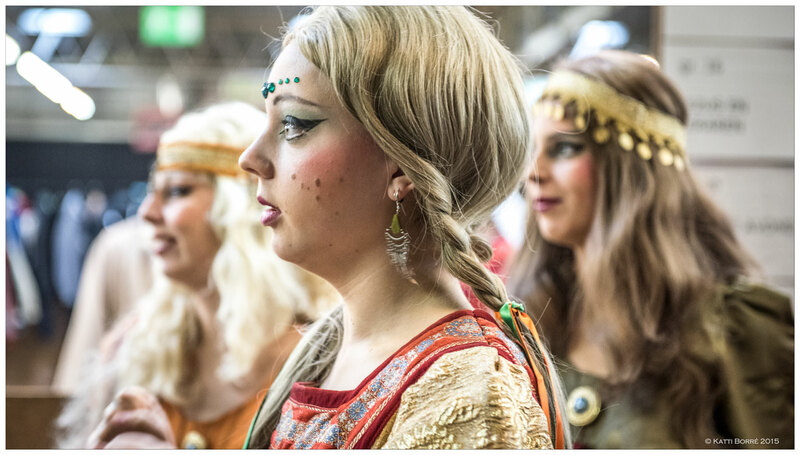 Some groups are so traditional that it is difficult to get in. But there are also ‘new’ participants, schools help out, youth clubs, all volunteers, and for many this is the event of the year. Also city officials and church representatives are present. The procession shows scenes of history of the city, and religious and biblical scenes. 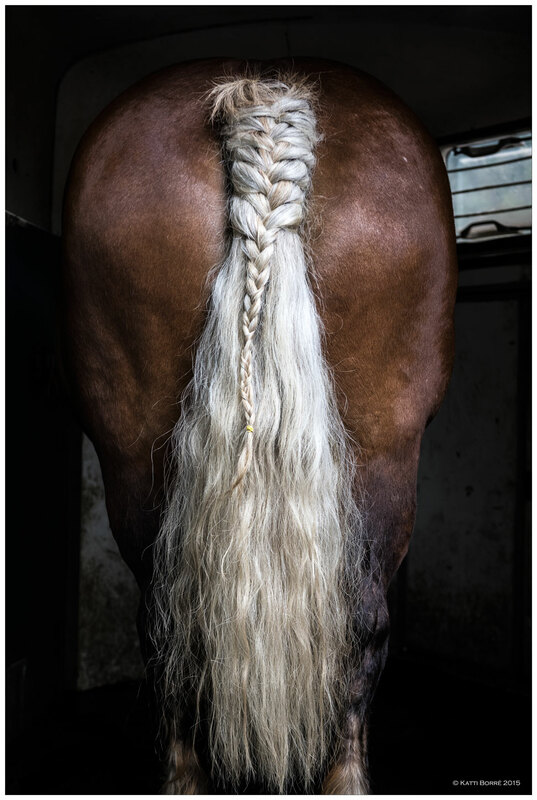 It all has a very medieval touch and style, costumes from that era, wagons pulled by the big beautiful Flemish horses, only the spectators are from today. Not that I saw all this in person. 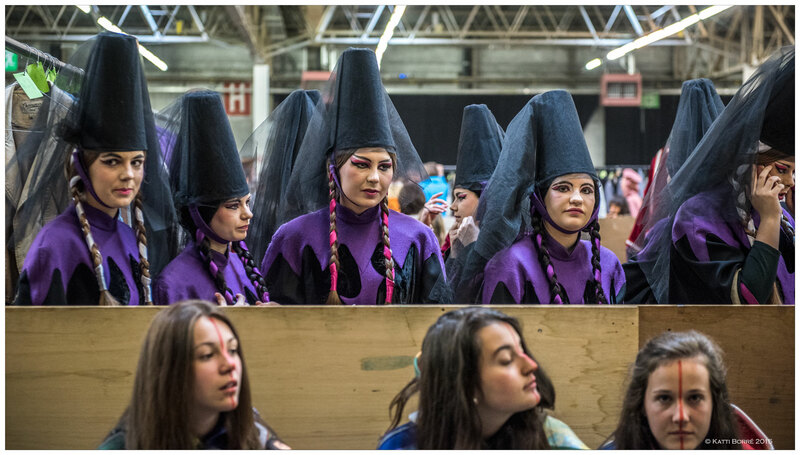 After checking out how they were all getting ready in a big hall, putting on their beautiful, perfect costumes, some ready to go and having a beer while waiting, others still on the big catwalk-style stage to get a thick layer of make up, or waiting in line to get the final approval before the processions starts. A lot of old people but as many young and even small kids. Boys and girls. Sheep, horses and camels. 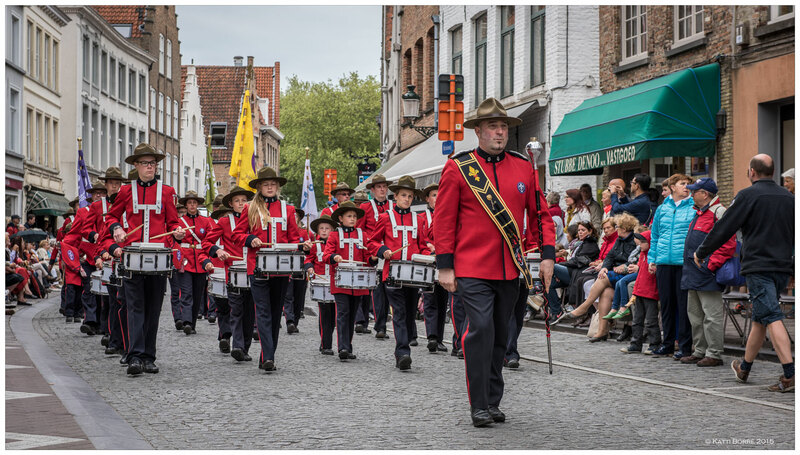 It promised to be a perfectly organized magnificent folklore show that parades through out the city of Bruges. I was so ready, so I went back into the street looking for the perfect chair that would give me the perfect view on the coming -perfect- procession. Guarded with camera, raincoat and even an umbrella -you never know in Belgium- I finally sat down waiting while the crowds were arriving and taking their seats. It started ; a typical Belgian style fanfare came from the opposite direction, on its way to pick up the beginning of the procession, when just before my eyes, they were stopped by a police car, literally 5 minutes before the due start time, telling the people through a microphone that the Procession was canceled due to bad weather, and there would be no refund of the tickets (the 5€ you had to pay to sit down, or the more expensive places on the tribunes). Disappointment was big. Lots of people just held on to their paid chair, long after every one else had started to move. Last time it got canceled was in 1997 and it all seemed so surreal! 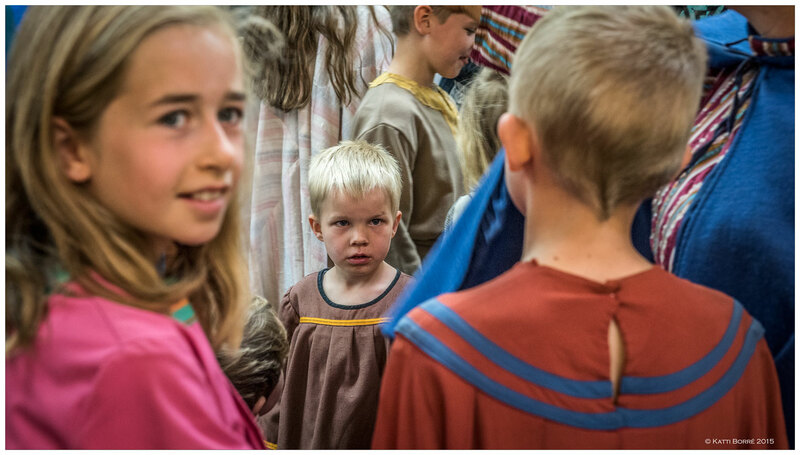 I started walking around town, looking for the Holy Blood, which surely was going to be brought back to the chapel, when I was told that the expense of drying the whigs and costumes is so high, that they can’t and do not want to risk getting wet. The whole Procession is now postponed to … next year. 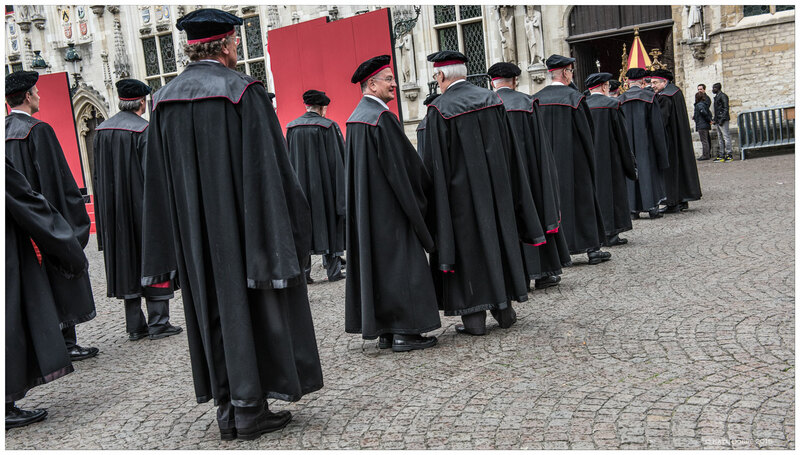 The Procesion of the Holy Blood takes place on Ascencion Day in the city of Bruges. Put it in your agenda check out their website for details. The best way to get there is by train. You can pay for a ticket on the tribunes, or just pay a few euros for a chair on the sidewalks, or stay standing. The Procesion takes 1:30h. Canceled when raining. Does it ever happen to you that you have so much to do but you feel like there is so little time? That you are working on your ‘to do list’ until it is way too late in the evening and you can’t keep your eyes open anymore? That you are dead tired and the only thing you wish for is to go bed and sleep in, but then the next morning you wake up way too early again, but all excited and full of energy to get started again? It has been happening to me for the last 2 weeks, and as a consequence, at certain times of the day, all I want to do is sleep. Sleep. I am totally exhausted. Not that I have this inhumanly, impossible to ever accomplish, long list of to do’s. Nothing like that. But next to this ‘list’, I have the inhumane desire to go out everyday, to walk around town for hours and hours, to just breathe in this beautiful city that Buenos Aires is. Mi Buenos Aires Querida. I have this probably insane feeling that if I breathe it in enough, I will do fine being separated from it for the longest time ever. Well at least, since I moved here 6 years ago. How will I ever manage? My son tells me that your home is where your family (read : himself) is, which is probably true, but I have this unsound addiction to this town, a desire to emerge with it that seems insatiable. 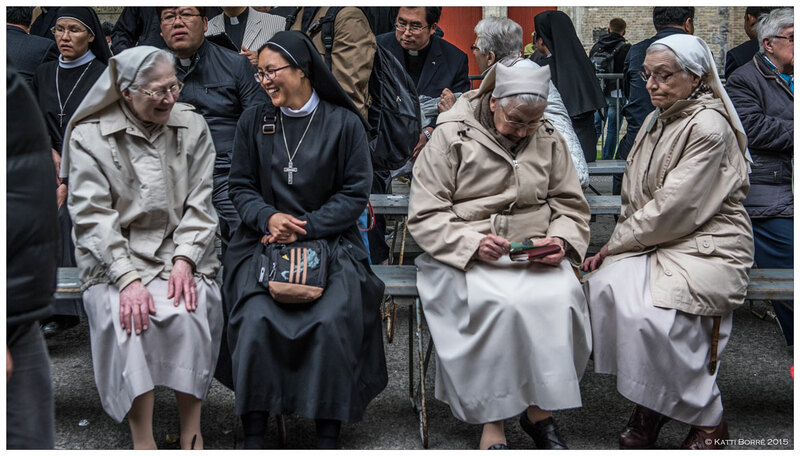 It is so lively, energetic, beautiful, loud, busy and so Latino, that the contrast with our -also beautiful- historic Belgian cities, the cold, the ‘northern’ people, the over organized society, is indescribable. I am sure I will have a great time up north, nothing quite compares to a family reunion, especially if you only have one every 6 months, but still. I will miss this. I am addicted to this place. I am so addicted. If you know just something about soccer, you know Boca. Probably the most known, maybe even the most famous team. I cannot say I am a fan, nor that I am not, without getting being scolded at, as it is not the only team here. And here, soccer matters. You are a team : Boca, River, Racing,… Me, I am lucky enough to be excused for not supporting one team or another, only because my foreign accent. Soccer often makes me smile, like this afternoon. You don’t have to watch the news or have the TV on to know there is a game on. Nor to keep up with the scores. Neighbors all around, mostly men I am afraid, come outside on their terrace, or just open their window, to shout their lungs out ‘goooooooaaaalll!!!!!’. Depending on the importance of the game they repeat it once or twice, or they keep on shouting for a minute or longer, cars start honking their horns, and I start to doubt if that counts for one goal or if there has been another one : today ‘they’ (my neighbors) won with 2 goals, and the game was pretty important. But apart from the soccer team, the name also refers to the neighborhood where the stadium is. Or rather, the team has got its name from the neighborhood. It is said that the first Buenos Aires settlement (Fuerte de sante Maria de Buen Ayre, 16th C), was in la Boca. But this settlement was abandoned shortly after. 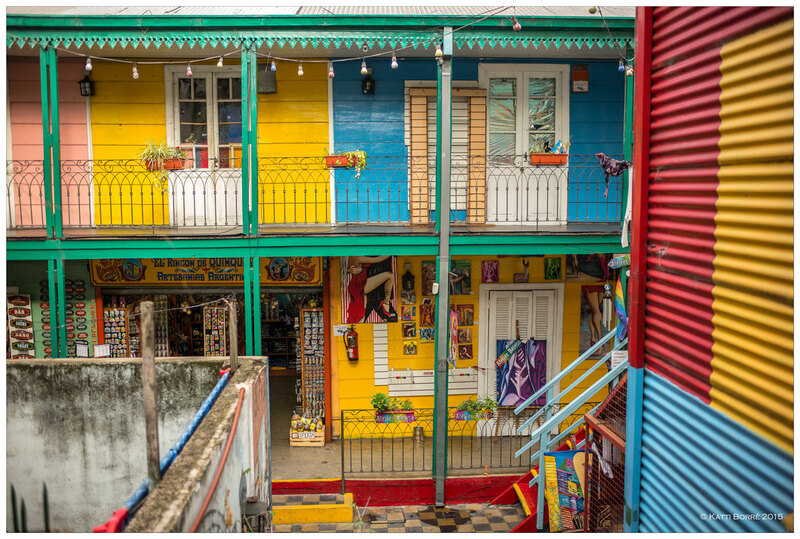 It was only in the 19th C, between 1830 and 1852 that the huge influx of Italian immigrants shaped La Boca in how we know it today : little houses made of wood and corrugated iron, divided into even smaller places in order to house more families mainly coming from Genova, Italy. All painted with boat paint, in different colors as they didn’t have enough of one color to do a whole wall. A colorful shanty town is what it was. It used to flood with every heavy storm, living conditions were not exactly good. Nowadays it is a still horrid place, but for different reasons. It is only 3 streets big, although nowadays you can wonder off a bit, providing that you are careful. Today the 3 streets are full of terraces and people trying to force you to open your wallet. Bringing your camera close to your eye is enough. Each bar and restaurant has their own tango dancers, and a team of aggressive waiters is set about to make sure you don’t take a picture without sitting down and buying something to drink, and after paying the check, not forgetting the 10% tip, the dancers come round with their hat and ask for more. Or the dancers follow you trying to win you over for a dance, or just to take a picture, not telling you they ask $100 for a 1 minute show. On the house’s walls are now horrid colored statues imitating fat short people hanging out of the windows and waiving at you. There have always been Maradona look-a-likes, now, of course there are several Pope Francisco’s. But it is and will probably be tourist place number 1. 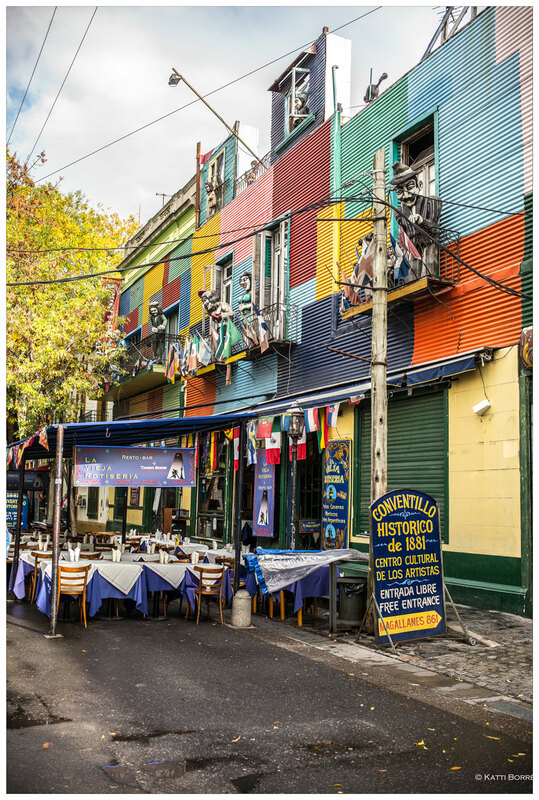 It is, unfortunately, how Buenos Aires is shown to the world and sold by travel agencies, the colorful houses with tango dancers, although to me, it is not what Buenos Aires is. It is a neighborhood I go to, over and over again, when I have visits from overseas. Or this one time, very early, before the waiters start working, before the shops open their doors. Peaceful, it seems, but to me it seemed even more desolate, sadder still. I love walking through the city. I love love walking a lot through the city. 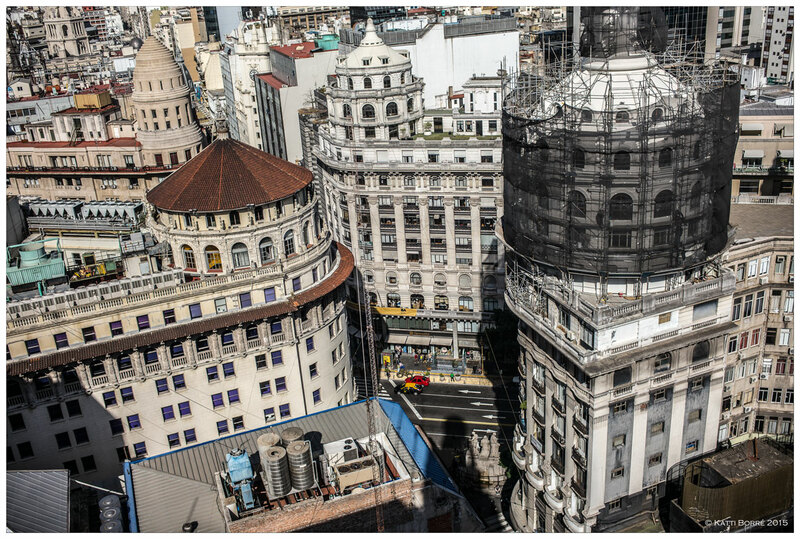 Easy, Buenos Aires is a very big city. Partly because walking is actually the best way to see and get to know the city, and at the same time it is a good physical exercise. And maybe it is also a bit about saving money. Taxis have become quite expensive these days; Or let us say, the days when you could take a ride for less then 10$, and the driver would refuse a $100 bill, are long gone. And with that, so have my interesting talks with the drivers. Strangely, the main subject has always been politics. 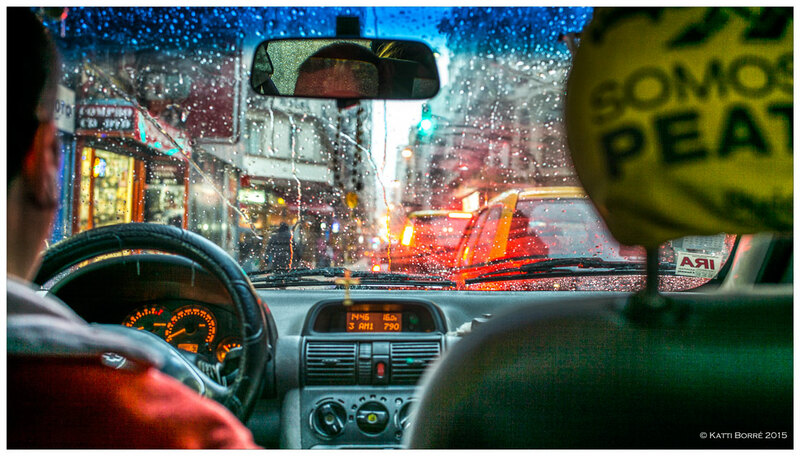 Strangely, most taxi drivers hate the current president (whoever that is), and usually they blame politics for Argentina being a ‘bad country’, all this in contrary to Europe, where everything is all perfect in their eyes. But as I always say, ‘cada pais tiene sus cosas’, every country has his problems. But that is not what this post is about. It is about change of season. After 3 weeks of totally perfect and stabile autumn weather, the type of summer weather every Belgian would sign for without thinking( sunny, 25°C during the day and 15°C at night), we have had a cold, rainy day. Yes, temperature dropped to 16°C, it rained, and it was cold. While at the same time my family in Belgium was happy and boasting about the sunny spring weather of yes, (hope you are sitting down when reading this) : 12°C. Which immediately got me worrying : how will I survive Belgian summer, wearing summer clothes in these wintery temperatures? Of course that was the discussion I had with the taxi driver who has just brought me home. He told me is was in such a pissed off mood because of the rain and the cold (OMG, you too?!! ), he said he is an old man and remembers the good old times, when he was just a kid, when they had their typical Argentine 1st of May celebrations. He told me that a good 1st of May celebration begins with going to a soccer game. In the rain. After that comes the typical family ‘asado’ (BBQ), ‘under the roof’, as it was always freezing cold. The puddles used to be frozen in the morning of May 1st and ice would come back in the evening. Yes, on the 1st of May. I found it really hard to believe, considering the past weeks’ weather, and even today : we are still a long way off to freezing temperatures. I could probably count the days under 0°C that I have experienced over the last few years on one, maybe 2 hands. And it immediately made me think about my parents and grandparents, weren’t’ they always boasting about how cold winters used to be and how there used to be lots of snow each winter? Are seasons really changing? Or do we only remember the exceptions and take them for reality? I wonder. In the meantime I am hoping that this nice man is wrong, and that we will have a nice, warm, and sunny 1st of May. I wish you all a great 1st of may day! In the somewhat unusual neighborhood of Retiro we found a ‘new’ bar-restaurant . It is trendy, has international appearance, is beautifully decorated, has good music, and has absolutely delicious food. If you are in search of the ‘place to be’ or/and see the Argentine ‘Beau Monde’, this is your place. They have valet parking $60, automatically put on your check. How un-Argentine! If you don’t care for the prices, this is the place to go!